How to Verify Apache server configuration for PHP scripts support? If you have followed our Configuring Apache for PHP Scripts tutorial, you can now use this tutorial to verify the configurations. 2. Make sure that your Apache server is running. 4. 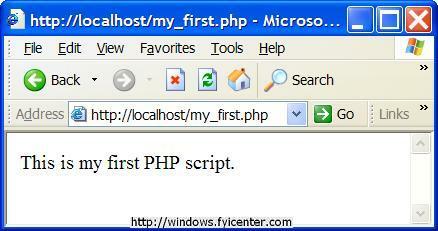 Save this script as C:\Program Files\Apache Software Foundation\Apache2.2\htdocs\my_first.php.